Over summer, Clutha locals had been building home-constructed rafts to  enter in the annual Big River Raft Race organised by Project Clutha. 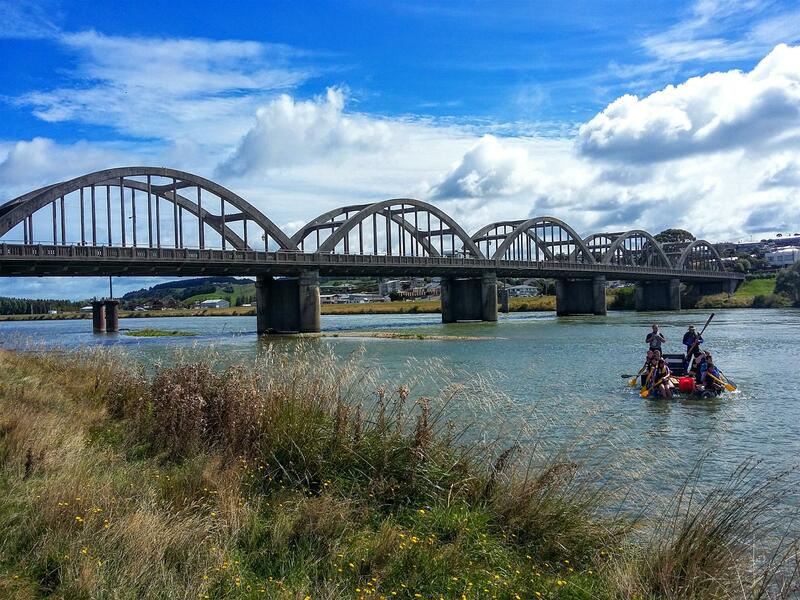 Contestants paddled their team 20km down the Clutha River between Clydevale and Balclutha to raise funds for Clutha District and Catlins Land Search and Rescue and Kaka Point Surf Life Saving Club. 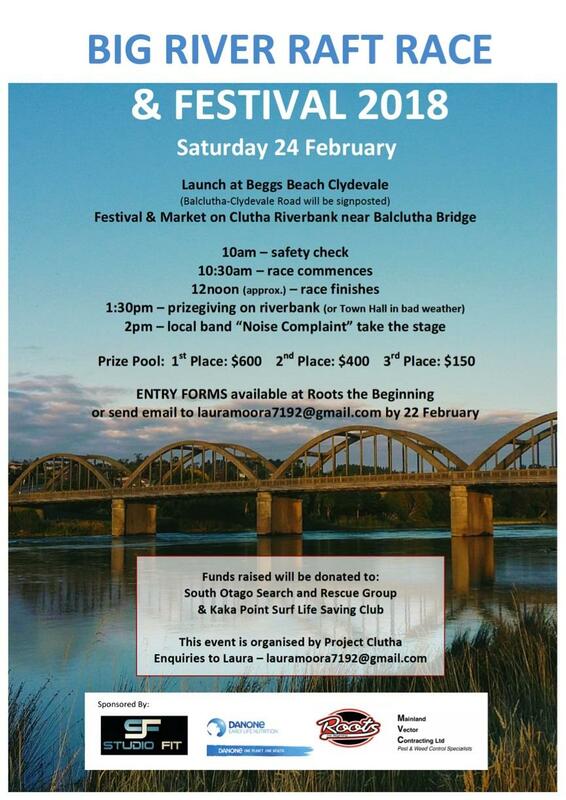 The Balclutha Bridge marks the finish line where the festival is held on the riverbank. 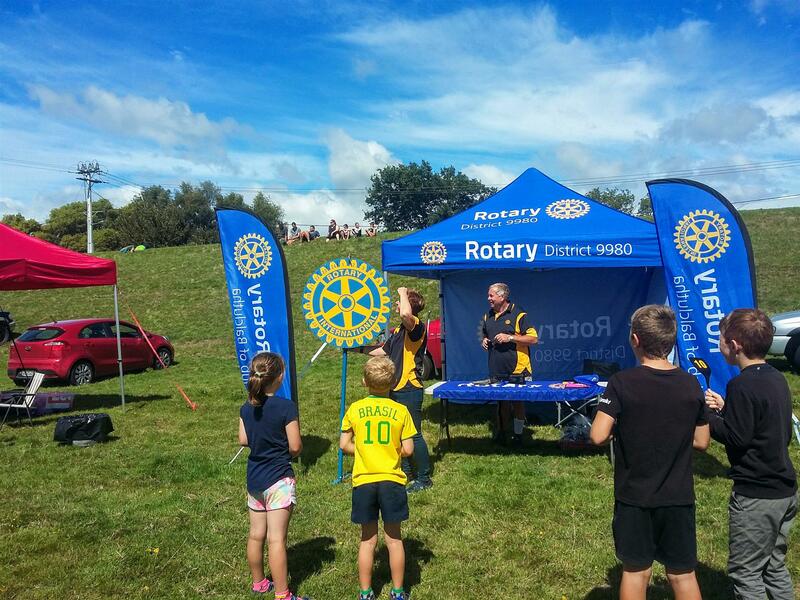 Rotary Club of Balclutha hosted our chocolate wheel while one of our members, Chris, caught the race action with his drone camera. Rafts crossed the finish line in the midday sun under fire from water balloons, eggs and flour launched from the crowd waiting on the bridge! 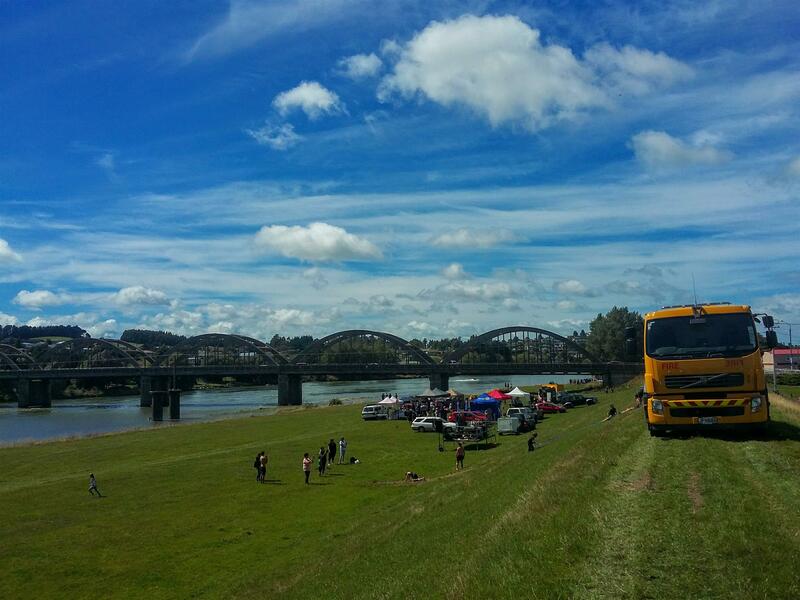 The riverbank was busy with spectators and people cooling off on the water slide run by Balclutha Fire Brigade. The festival market had stalls from local craft, clothing and food, and people gathered for dumplings and coffee. Local band Noise Complaint took the stage for the afternoon around prizegiving and Rotary Club of Balclutha had fun spinning our chocolate wheel for lucky winners!